If you have lost some of your teeth it can create issues such as making it difficult to chew that result in feeling self-conscious when you are talking or smiling. It is for these reasons that most people like to discover a solution, but with a diversity of alternatives, like dental implant bridges and dentures available, it can be hard choosing which one is better option for you. 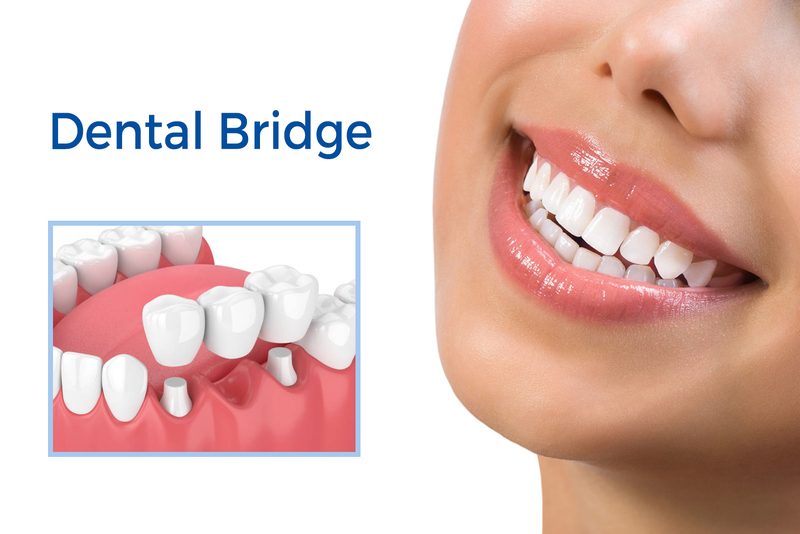 We have come up with some reasons why dental implant bridges are better than dentures. If you require replacing missing teeth and you desire to feel natural so that you can begin eating, talking, and smiling like you regularly have done. A dental implant bridge is better alternatives than dentures for this perspective, because dentures can move or dislodge, extra they frequently feel uncomfortable and take some time to get used to, which dental implant bridges don’t. The dentures requiring replacing every five to seven years which will not assist you to forget that you have loosing teeth. They also need some extra cleaning to natural teeth, making inconvenience if you’re searching for a simple solution. A dental implant bridge could last for a lifetime if it is taken care of, and all you require to do is look after it such as you do your natural teeth by brushing them twice a day. A dental implant bridge can prevent further deterioration of the jawbone because it is made from titanium, which is strong and durable. Unluckily, dentures do not propose identical benefit, and will not protect your jawbone unlike Dental Implant Bridge. We hope that these advantages have helped you to know how dental implant bridges are better than dentures, and would be pleased to answer any questions that you have about the treatment that we provide. Just contact and we would like to help.